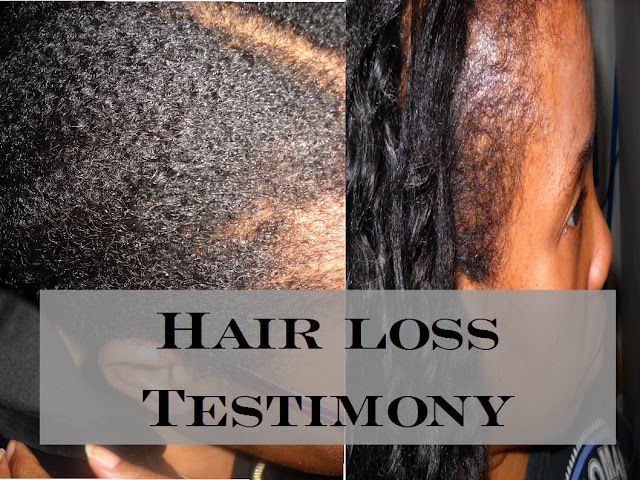 I received this testimony from a lady who has been dealing with hair loss. "Ms. V-thank you so much for your advice about my trip to the dermatologist, regarding my hair loss. I went in there armed with my baggies of hair and knowledge. I requested the blood work and biopsy, as you indicated in your article. We found out that my hair loss was due to kidney stones I had around Christmas (shock to my entire system), the multiple rounds of prednisone I was on for the stones and my asthma (prednisone replaces your normal hormone generation and, after long term use your body is confused when you stop so you lose hair), and vitamin deficiency. Best news is that the hair loss isn't permanent! It should start growing back in a month or 2. Thank you so much for your guidance!" "My dermatologist said that I was the most prepared patient regarding hair loss she's had in her 35 years of medicine. I gave her the link to your article and she said that she will share it with every woman that schedules an appointment! Thank you so much for your guidance!" Of course I thanked this young lady for such a great follow up. I love good reports. I love helping women with their hair issues. Hair loss can be so mentally draining and women need answers. Her testimony made me smile for hours. If you are going through a hair loss issue, read the article that helped her. It might help you as well. BLESSINGS TO YOUR HAIR JOURNEY! You and 1 other manage the membership, moderators, settings, and posts for KINKS DEFINED: For 4a, 4b, 4c, and 4d Natural Hair.